We love Amy and Kris of Today's Country Store in Sumner, WA. Ya'll are in luck today cuz they are having their famous Garden Party this evening from 5pm to 8pm. They transform their already wonderful store into a Springtime Paradise! It's a great time and the ladies that sell there are always full of wonderful ideas and suggestions...so get yourselves down there tonight! Click HERE to go to their blog with all the details. Tickets Are On SALE! NOW!!! Time to purchase your tickets to one of Western Washington BIGGEST Vintage Markets around! We want to EASE the pain of standing in line before the show...!!! The tickets are available on the side bar of the blog! We will send out the tickets 2 weeks before the show to make sure everyone receives them... you can still purchase tickets after that time. Just make sure you print out your receipt for proof of purchase. Wear comfy shoes... and take your time. You don't want to miss a thing! 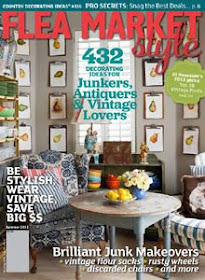 for your junk-a-holic shopping pleasure? Our next show is May 13 and 14th in Puyallup, WA. You can't make it to that one?!! Ya'll are lucky....our summer show is August 6th in Coeur d 'Alene, Idaho. We were looking over Blogland and came across this super cute idea! 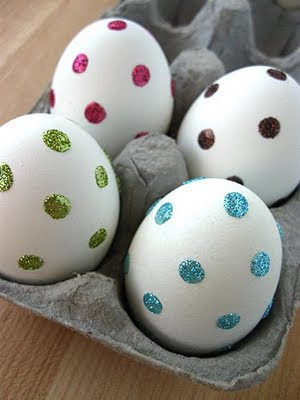 How to Make Sparkly Dot Easter Eggs! some love from the Funky Junk Sisters! 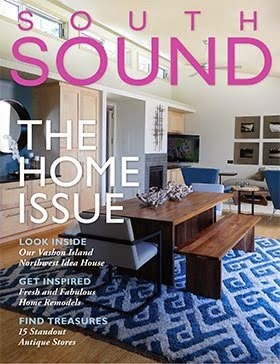 Have you been to PORTLAND, OREGON to shop? What about those COOL shops up in SEATTLE? Perhaps you just missed our Hillsboro show? 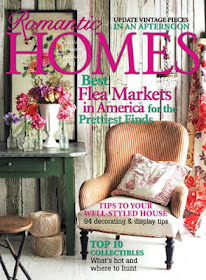 Let's just say whatever you missed out on earlier "we will have it"
Have you wanted to shop from a VINTAGE TRAILER? We'll have it! Bring all your friends... your hubbys... and even the kids! We are ONE BIG happy family around here!!! Need a coffee fix? We got it! We've made room for an espresso cart... How SWEET is that?! We will be selling tickets in advance on the blog... this will help shorten the lines when we open! Watch for it! 3day Walk for a CURE! You know us FUNKY JUNK SISTERS will have a little something to help support BREAST CANCER AWARENESS! We are raising MONEY for the 3 day Walk for a Cure... a few of our vendors are walking in the Memory of our Dear Friend Sandy Hammer of the Geranium Cottage. Sandy passed away on April 6th, 2011. There is a donation button on the right hand side of the blog. If you would like to help, that would be great... these girls are tough, but they need our help! Loved this idea from Desire To Inspire. 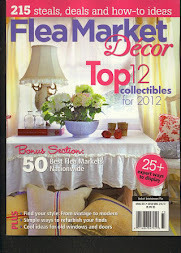 Now...all us Junk Sisters know you wouldn't have to use NEW clocks for this...VINTAGE would be our preference! Besides how fun would it be to be on the "hunt" for a collection to complete this project. 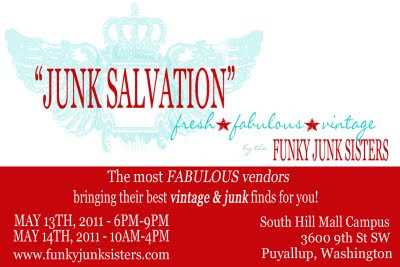 Wonder how many alarm clocks will be at our May "Junk Salvation" show? August 6th show in Coeur d' Alene, Idaho. Do ya'll see where we're goin' with this?!! Amy is a very, very busy gal. She owns Poppy and Ivy, a vintage shop in Portland, Oregon and she is a partner at Found on Fremont also in Portland. She was a vendor at our Hillsboro show and guess what? 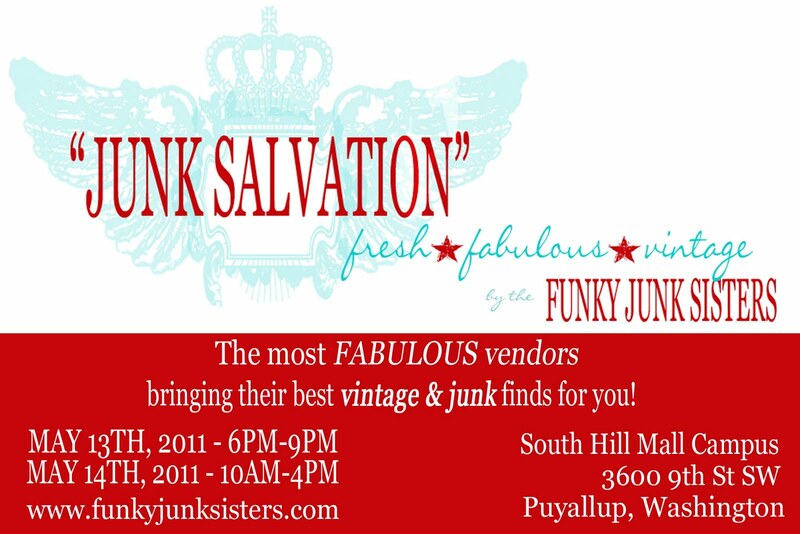 She's gonna bring all of her fabulous finds to our Puyallup show! 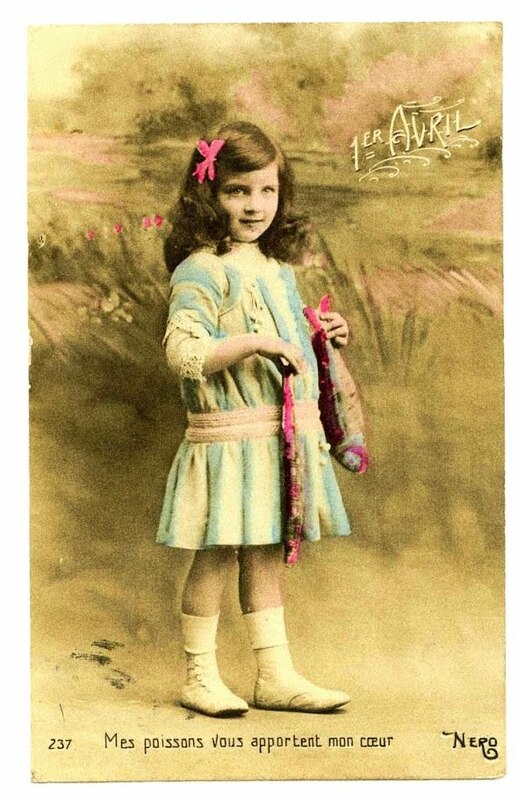 This gal has a love for vintage things like no other. She's always on the lookout...can you blame her with two stores to fill! We're sure the brakes on her car are worn out from constantly stopping at garage and estate sales. If you get a chance to stop by one of her stores...do it! You won't regret it. She brings the best of her vintage world to our shows and she doesn't disappoint! Ladies, make a date with your best gal pals for this Spectacular Spring event, May 13th and 14th in Puyallup, Wa. I guess I should just admit it and keep Dixie out of this. I'm cheap...cheap, cheap,cheap. Yesterday I took advantage of a small window of sunshine and planted some roses in my garden. After I was done I realized I needed to edge this new rose garden. Well, I would rather spend hours searching for a way to use something I already have for garden edging rather than buying it. So off to the computer I went...several hours later.... 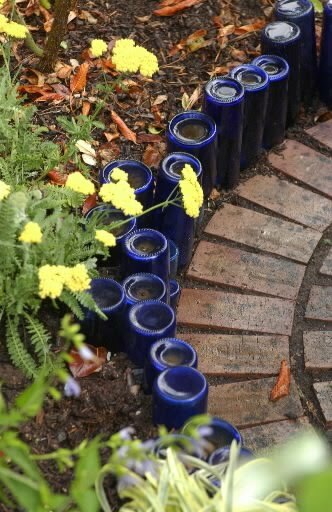 I found this awesome idea using wine bottles for edging. 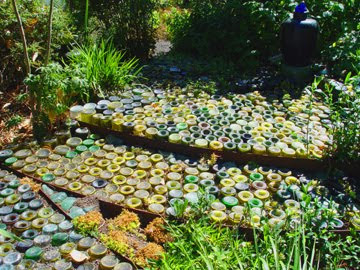 I love the whimsy it adds to the landscape. After another hour of browsing I came across these creative colorful steps. Clever! More surfing and I found the FAB outdoor serving bar below. I want this...now some people might consider me a wino but it could take me forever to drink enough wine to accomplish all of these projects! Ooooh and a whole lotta money too. But wait...I have a close friend that lives next door to a wine distributor. I'll have to hit her up to help me out. 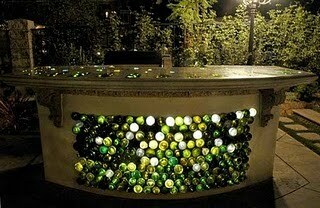 Now I just gotta figure out how to build this wine bar.... looks like theirs more surfing in my future! For our very dear friend Sandy. She has been battling cancer for a long time now. 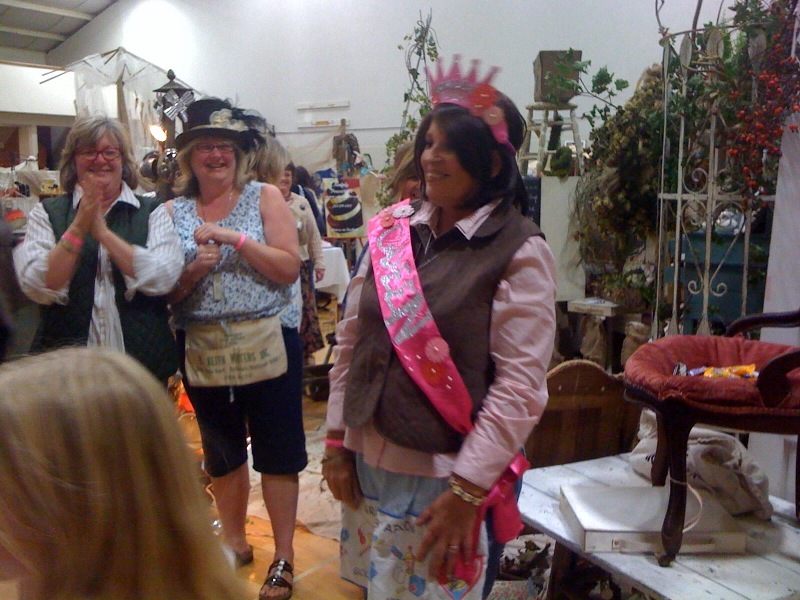 She has also been a very big part of the junkin' community here in the PNW. For many years we have visited her sweet little Geranium Cottage and stuffed our cars and trailers full of her wonderful finds. We've carted the junk we've bought from her to our shows and and you've gone nuts over it. She is always there when we need a little extra somethin' for a display. Today she needs us to be there for her...her battle has been long and we are asking you, Junk Sistas, to say a prayer for her and her family. Pray for comfort and peace.... 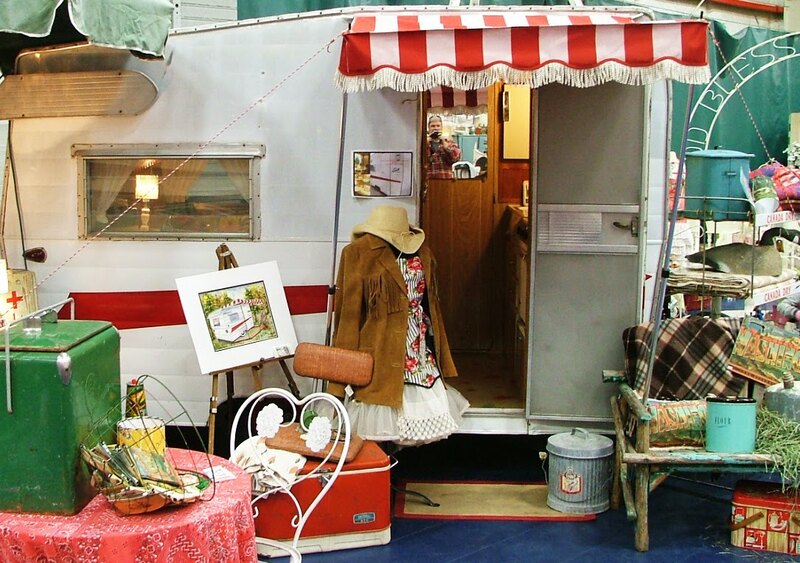 The picture above is from our show last October, we crowned her our 1st annual Trailer Trash Queen...she brought her vintage trailer along and rested in it between visits in her booth. At our show in May we will again do a Breast Cancer Benefit, this time we will donate the money to the 3 day walk in Sandy's name. The last time we visited Sandy's shop we toured her trailer...inside perched proudly on the window sill was her pink crown and sash proudly displayed. Our hearts skipped a beat at the sight........that silly little crown really meant something, it gave HOPE. We love you Sandy,dear Junkin Trailer Trash Queen! Enjoy this wonderfully light hearted day!